Hello all! I’m back with my first commentary blog entry about a fiction piece from a highly talked-about anthology by award-winning, critically acclaimed actor, screenwriter, director, producer, and Bay Area local, Tom Hanks. The anthology is his first published collection of stories and so far, just like himself, is as critically acclaimed according to some staunch literary critics. But, most of the reading public don’t always analyze or dive deeper with the novels and short stories they read. The matter with the reading public is if they liked the story or they didn’t. Throughout printed media and official sites, literary critics gave positive reviews. But, in Goodreads, customer/general readers didn’t find it as appealing as they thought. I’m writing this blog entry by the story since it would take me forever to review the entire book. Instead, I’ll review each story stand-alone and just write a series of posts related to this book. In the anthology, the first short story is titled Three Exhausting Weeks. This story is about a man and his childhood female friend who eventually became his girlfriend as adults. Thinking that their relationship would remain the same, he eventually finds himself that the girl is a domineering, overwhelming, “you do as I say or you’ll be miserable”- type of a girlfriend that no man would want to remain with. Through all the self-thoughts and doubts and the forced decisions, both eventually realize that they didn’t match as a couple and decided to end the relationship— all in three weeks. We’ve always read a lot of stories about couples and their relationships which usually depict the guy being overbearing and domineering, leaving the girl as the submissive type. In this story, when the roles are reversed, women can also be as overbearing as men being the “dominant” gender when it came to couple and family roles. The female lead character of the story, Anna, depicted her as such, even though they just started getting into this “trial” relationship, the true colors of both characters began to emerge. I had some thoughts about a story like this because, with all the increasing awareness of female empowerment and such, I’ve noticed that some women have the misconception that female empowerment meant being the dominant gene and then treat the men like what men would usually treat their girlfriends or wives or fellow female team members and co-workers altogether. Speaking as a female, I was always for gender equality, but not dominance over the opposite gender. I can’t really say that the way Tom Hanks wrote Anna the way he did show his feelings and position towards women altogether, but it wouldn’t surprise me that there will be women who will act like this in real life. I have to admit that the story started off rather slow and I was waiting for a turning point somewhere. It didn’t come to me until the last few pages of the story, in which not only the guy realized that he and Anna were not a good match, but Anna herself figured him out of his feelings as well. In the end, no one was hurt, but resumed their long-time friendship with one another and proceeded with their planned trip from before with their other friends instead. 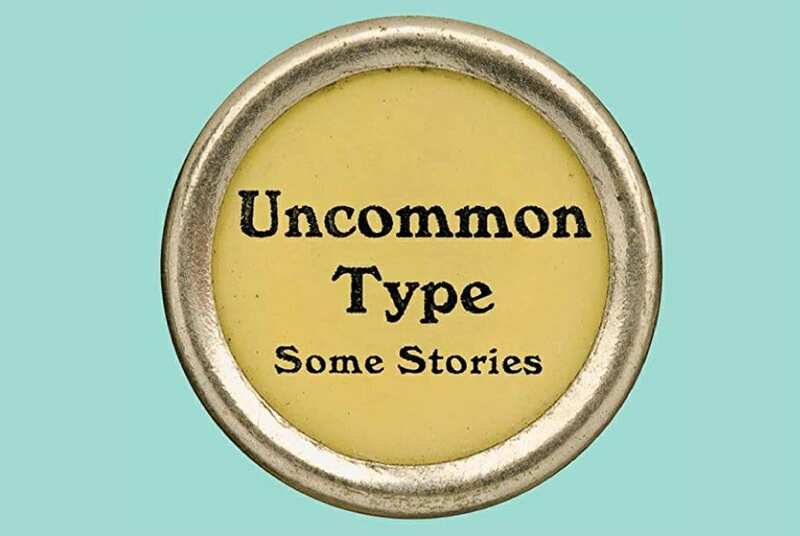 I still can’t say that I can recommend Uncommon Type just yet. After all, it’s a short story anthology and not a whole novel. Anthologies are different. I’ll write another entry once I read the next short story in the collection.